One of the greatest medical accomplishments of the past century was the introduction of antibiotics into the clinic. However, the use of these lifesaving drugs rapidly led to the emergence of antibiotic-resistant pathogens, which have become increasingly difficult and expensive to eradicate. Antibiotic resistance now severely limits our ability to curb infectious diseases and is therefore a major global health concern. Written and edited by experts in the field, this collection from Cold Spring Harbor Perspectives in Medicine examines the major classes of antibiotics, together with their modes of action and mechanisms of resistance. Well-established antibiotics (e.g., β-lactams) are covered, as are lesser-used drugs that have garnered recent interest (e.g., polymyxins) and new compounds in the development pipeline. The contributors describe the mechanisms by which the agents disrupt cell wall assembly and maintenance, membrane synthesis and integrity, DNA and RNA metabolism, protein synthesis, and the folate cycle. They also examine how bacteria evolve ways to resist these disruptions by modifying the drug or drug target or by controlling access of the drug to the cell. 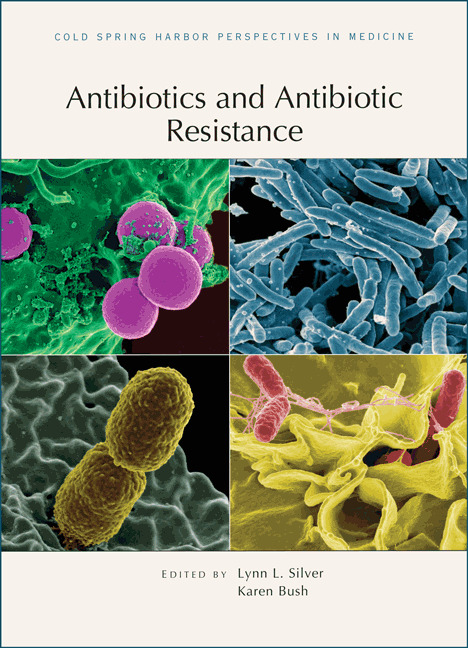 The authors also explore the environmental origins of antibiotic resistance and provide guidance on the rational development and therapeutic application of new antibiotics. This volume is therefore an essential reference for microbiologists, pharmacologists, infectious disease biologists, and all concerned with this medical crisis.